One of my dearest friends, Sarah Bohl, invited me to write a guest spot for her blog: Sarah Bohl Designs. She’s a design guru from southeast Missouri who’s constantly inspiring me with ideas for my own home. So you can imagine I was a bit intimidated writing about a subject she’s nearly perfected. However, there is one area of design in which I feel more confident about my skills: creating a children’s room inspired by a picture book. Imagine that?! Originally posted on her now-defunct blog, below you’ll find Part 1 in a three-part series on making your favorite children’s books come to life. Where Sarah eats, breathes and sleeps design, my obsessive tendencies tend more toward children’s books. Before my firstborn was even a twinkle in my eye, I had filled an entire bookcase with favorites, both from my childhood and gems I had discovered roaming bookstores over the years. You can only imagine the squealing delight with which Sarah and I talk kids’ rooms. I’m sure Sarah is as likely to admit as I am that there’s nothing more exciting about your first pregnancy than the absolute euphoria of planning the nursery. 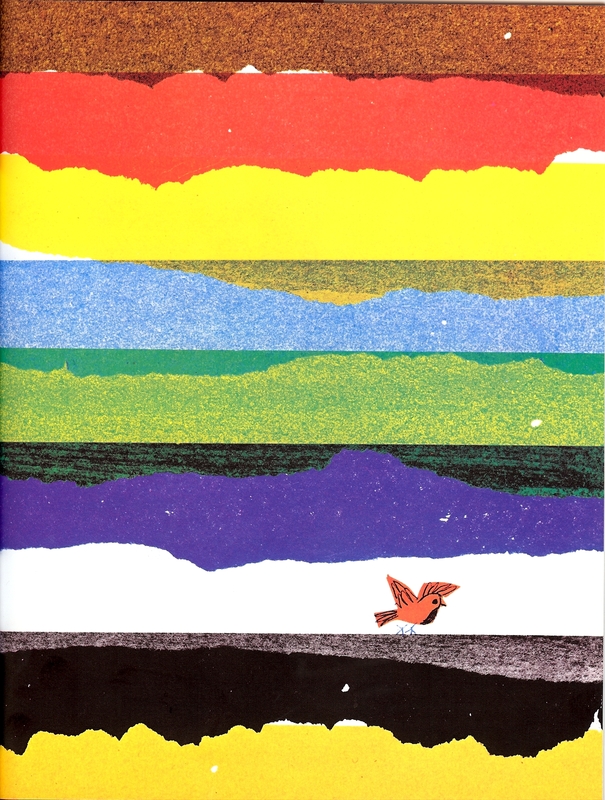 Just as my daughters’ names were inspired by children’s literature – Kay Thompson’s irresistible “Eloise” and E.B. White’s eloquent spider from “Charlotte’s Web” – so too was our nursery. 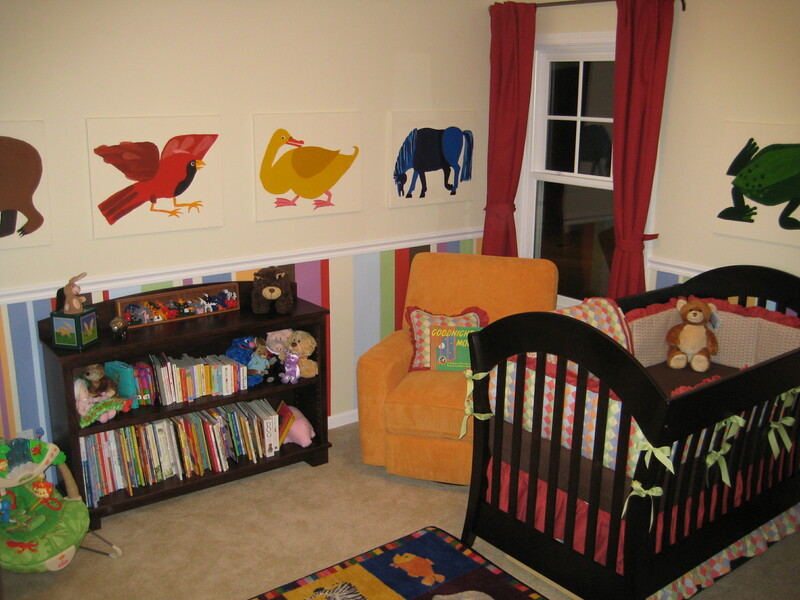 I wanted a gender-neutral room in bold primary colors that would be visually stimulating and see us through subsequent births, be they boys or girls. 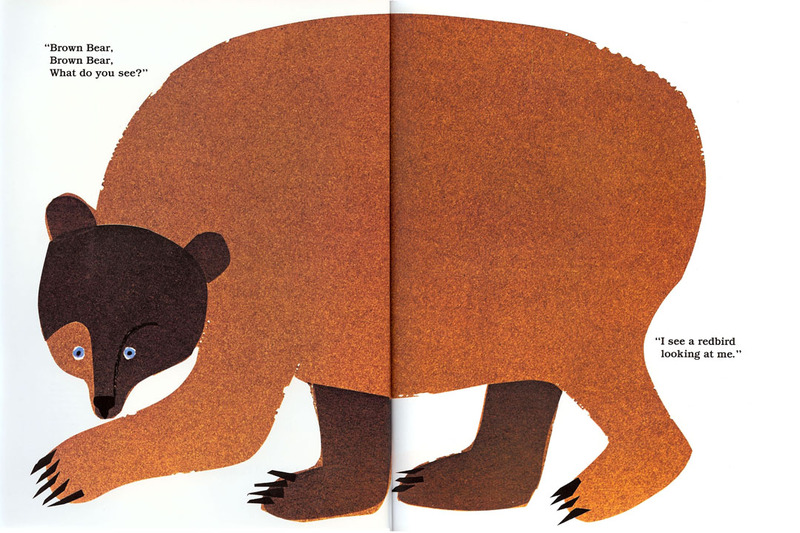 Eric Carle’s “Brown Bear, Brown Bear, What Do You See?” (my all-time childhood favorite) provided the perfect inspiration. Carle’s one-of-a-kind illustrations contain each of the three components I consider essential to creating a successful children’s room from a picture book: endearing characters, a distinctive color palette and striking patterns. With any book, select the most distinguishing component and give it center stage in your room. I built our room around nine large canvases, each depicting one of Carle’s menagerie of animals – from brown bear to gold fish. The paintings, done in acrylic paint by my artist sister, replicate Carle’s technique of layering custom-colored tissue papers and capture his vibrant color palette. Canvas paintings, as opposed to wall murals, are a smart option for children’s rooms because they provide added dimension and the treasured artwork can be relocated should you ever move or repurposed in a playroom, for example. Figures also could be cut from MDF and the characters painted on the wooden silhouettes. If one isn’t so lucky as to have an in-family artist, contact the art department of your local high school or college, describe the type of work you’d like to have done and you’ll likely be matched with a “starving artist” who’s more than happy to be paid for his or her talent. I suggest arranging to cover the cost of materials plus an hourly rate based on the artist’s estimate of the time it will take to complete the job. My second step in constructing the “Brown Bear” nursery was selecting a custom bedding fabric that added several patterns to the room and solidified the color palette. Oftentimes, stores specializing in children’s furnishing offer custom bedding options with a price point similar to, or just slightly more than, complete sets from Pottery Barn Kids. You can also select custom fabrics and basic bedding patterns from a fabric store and either sew them yourself or solicit the services a local seamstress. Fabrics, from curtains to bedding to upholstered furniture, are often the best place to begin to conceptualize a room, because it’s always easier to match a wall color and smaller accessories to the fabric than the other way around. With fabric in hand, I was able to perfectly match paint colors for the varied-width vertical stripes below the room’s chair rail. The treatment mimicked the pattern found in the front and end pages of the book and also unified the fabrics with the canvas paintings. 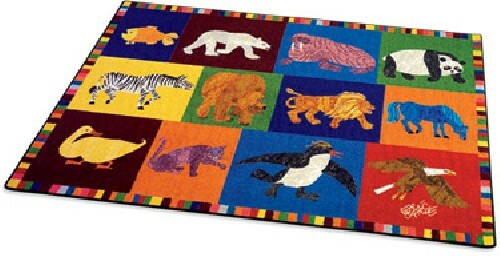 I finished the room with dark wood furniture (including a bookcase, of course), family heirlooms, a rocker in a bold orange (my favorite color) and a few Eric Carle’s branded items, including this wonderful rug available from the Eric Carle Museum of Picture Book Art online store. If your book is popular enough that branded bedding and decorative items are available, as is the case with Pottery Barn Kids’ Dr. Seuss and Curious George collections, I suggest limiting the number of pieces you incorporate. Your room will have a more classic appeal if you capture the essence of your book with color, fabric and larger-scale custom art.